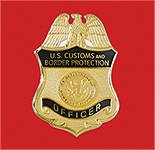 LOS ANGELES (CN) – An administrative law judge (ALJ) for the NLRB and his husband sued U.S. Customs and Border Protection for $3 million, claiming an officer asked to see their marriage certificate at the border, and assaulted them when they complained. William Kocol and Timothy Gajewski sued Several Unnamed U.S. Customs and Border Protection Officers in Federal Court, alleging assault and battery, unlawful detention, slander, intentional infliction of emotional distress, and constitutional violations. l, an administrative law judge (ALJ) for the National Labor Relations Board (NLRB), and Gajewski, an architect, were legally married in Beverly Hills in 2008. They claim that CBP officers singled them out in December 2012 at Los Angeles International airport after a trip to Puerto Vallarta, Mexico. After Kocol handed a Customs officer a Customs card “indicating that he was the ‘head of household,’ and was traveling with one family member,” the plaintiffs say they were asked to explain their relationship. “Plaintiff Gajewski said ‘husband’ and then plaintiff Kocol also said ‘husband,'” the complaint states. The officer “shook his head in disapproval and after a few seconds plaintiff Kocol said, ‘Yes, this was California and we are legally married,'” according to the complaint. The officer asked to see their marriage certificate, and refused to allow them to enter the United States, the couple says. “At that point plaintiff Kocol asked to see his supervisor and plaintiff Gajewski said that he was sure that CBPO ‘A’ does not ask a straight married couple to produce a copy of their marriage certificate,” the complaint states. The plaintiffs say the officer motioned for the next man and woman in line to step forward. Kocol and Gajewski protested, and were soon surrounded by five armed CBP officers and separated. Inside the room, the officer “twisted him around and pushed him down into a row of chairs, to his great personal discomfort,” the complaint states. When Gajewski walked toward the room where Kocol was detained, the CBP officer “grabbed his wrist and twisted it backwards behind his back,” the complaint states. The defendants returned Gajewski’s and Kocol’s passports after Kocol told them he was a federal judge, and that he intended to contact the Human Rights Campaign, and the Gay and Lesbian Center. They seek more than $1 million in general damages, and more than $2 million in punitive damages. They are represented by Scott McKee of West Hollywood.